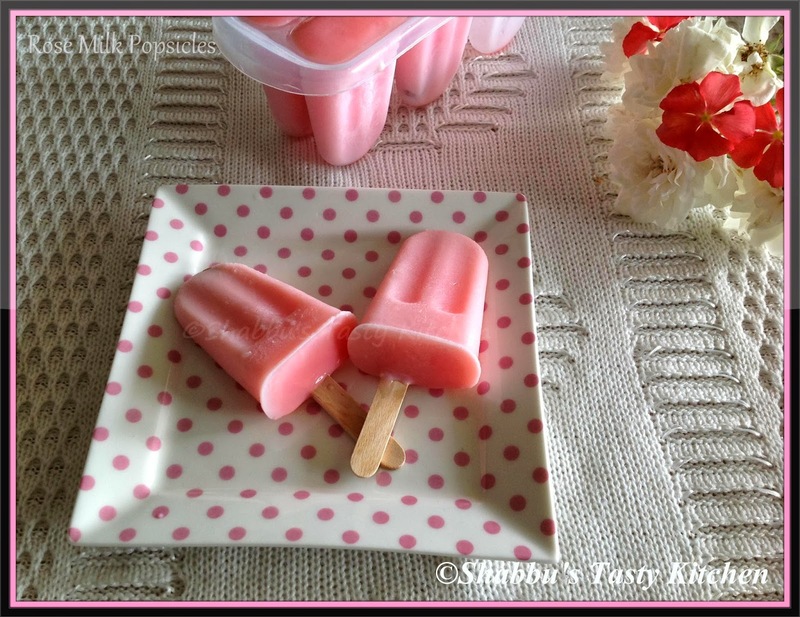 Summer started here in Perth, Australia..and it is very hot compared to New Zealand..Kids started demanding for ice lollies / popsicles and ice creams, so started trying popsicles with different combinations and colors for them...Today's recipe is a simple rose milk popsicle.. In a bowl, add milk and sugar and mix well till sugar dissolves. Add rose milk mix to this and stir well. ( or blend milk, sugar and rose milk mix together)..
Pour this into popsicle mould and freeze it for 4-5 hours or overnight. I am feeling jealous..winter just started here.Oh what a beautiful popsicle ! Very easy to make but super luscious and mouth watery popsicles. wow rose milk Popsicle looks fabulous dear :) loving the pink color ! !